As summer turns to fall and temperatures drop, many cyclists put their bikes away for winter. Not me. I have a few months left at least, until snow and ice start to cover the roads. Even then, it is possible to ride if you prepare properly. First, a safety note: Keep track of and share your routes, distances, and average ride time. This is easy to do with apps like MapMyRide. As apps like this become more popular, it’s okay, even good to be concerned about where your data is going, who has access to it, and how to protect your privacy. Andrew Boyd, Assistant Professor of Biomedical and Health Information Sciences at the University of Illinois at Chicago gives some great tips and advice in an article detailing what mapping and fitness data can reveal about you. If you’re still uncomfortable sharing, an old fashioned map, compass, and stopwatch can work just as well. Why should you share this information with another person at all? If you ride alone, especially in inclement weather, it is best if someone knows where you are, and when you are late enough they should suspect trouble. The first step is to get dressed. The key is layering, so that you aren’t overdressed when you start sweating. You should be slightly chilly when you start riding. We’ll work our way from the top down. Select a helmet that can be adjusted loosely enough to accommodate either a thin cap or balaclava underneath. If the vents are optional, get them. If it warms up, you’ll need the ventilation to avoid sweating, which can make you feel even colder. If you need help selecting the right one, there are several online guides or your local cycle shop can assist you. 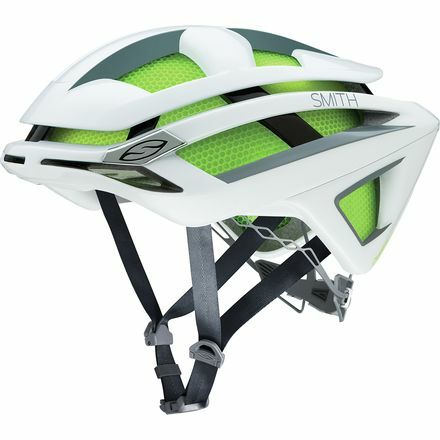 Our favorite is the new Smith Overtake Helmet, which provides additional protection with MIPS Technology and Koroyd Construction. These technologies absorb impact into the helmet better, protecting your brain from the force of the impact if you crash. Learn more about these technologies HERE. Start with a short sleeved jersey, and as the weather gets colder, replace it with long sleeves. Add in arm warmers and a vest, and finally an outer jacket when the temperature falls low enough. During winter, switch to thicker gloves or long-fingered gloves when your hands become uncomfortable. When the temperature nears freezing, grab winter gloves or Lobster style gloves like 100 Proof Glove by Giro, and use hand warmers. The key is to keep your hands out of the wind and dry. Whatever type of gloves you need for your own comfort that accomplish these two things will work. Again, the key is not to overdress. 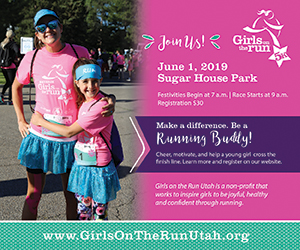 Start with shorts, and add either leg warmers or knickers as needed. When the temperature nears freezing, usually you’ll need a couple of layers for your lower body, starting with a thick pair of tights, and adding an outer layer. TIP: By the time the temperature drops into the 30s and 40s, and rain or snow is more likely, be sure you have waterproof gear with you. The wind chill at that temperature will feel colder than a dry day at 15 degrees. 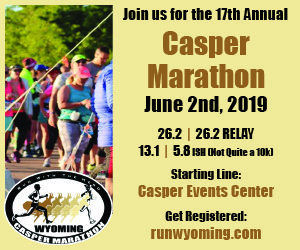 Be sure your rain gear breathes and is lightweight. You can calculate the wind chill here. 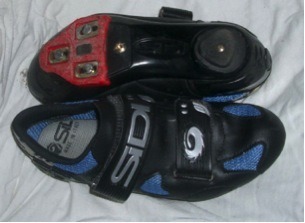 Typical cycling shoes are too tight to hold a warm pair of socks, so as the weather worsens, wear an oversized pair of shoes, and add a thick pair of socks. 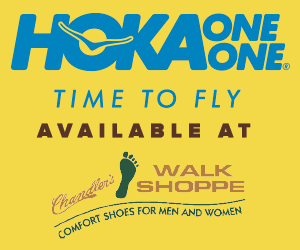 Add to those a pair of windproof and waterproof booties. If you don’t wear clipless shoes, a good pair of hiking boots, preferably waterproof, are a good option. If you are in a bind, slip your feet into plastic bags before putting them in your shoes. 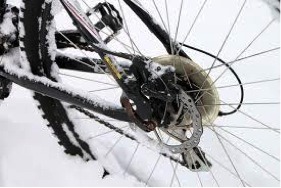 Many winter riders switch bikes, going from a multi-speed to a single speed. These bikes are much easier to maintain in winter months. Clean your chain and gears after every ride. Do a thorough clean and inspection every weekend. Tune your shifters more often: temperature affects cables. Wipe down your brakes often. If you live where temperatures are below freezing, avoid suspension if you can. Liquids that provide cushion when riding in warmer temperatures feel more like glue in the cold. There are also more surfaces exposed to dirt and debris. If you do ride a suspension bike, clean all parts daily, and do a once-a-week deep clean and thorough inspection. You have several options when it comes to tires. 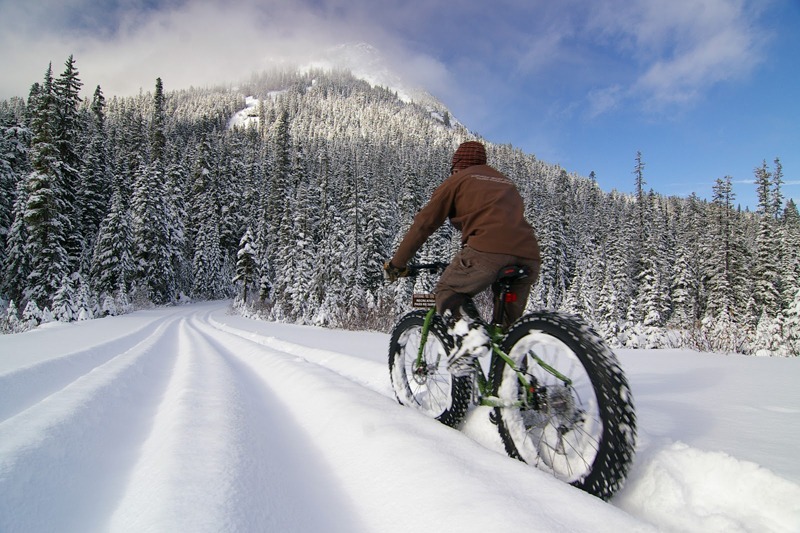 Some riders with road bikes switch to mountain bike style tires, while others prefer skinny tires which sink through snow or slush to make contact with the surface below. Fat tire bikes provide a unique option. Whichever style you choose, run tires at lower pressure in winter months. 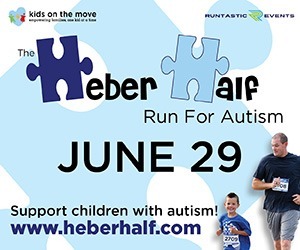 The rubber spreads out, just like the tires on your car, and enables a larger surface area to contact the road or whatever surface you are riding on. 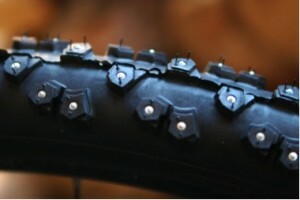 There are studded bike tires available in both road bike and mountain bike tires, which have metal studs every few inches that provide additional traction. 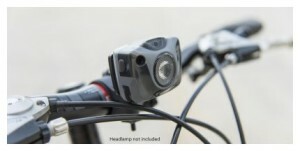 Nathan Nebula Fire Headlamp with Bike Crossover Kit. The sun comes up later and dusk arrives sooner during winter. So good lighting choices are critical. Headlights with the highest output you can afford are best. You may also want to add a light to the top of your helmet, so the beam follows whichever way you turn your head. A rear blinking red light makes you and your bike much more visible. Nathan’s new Nebula Fire Headlamp is a great all-in-one choice. Use it as a headlamp for running and hiking then attach it to your bike as a headlight with the Crossover Kit. Reflective strips and vests are also good ideas. The more you are visible to other vehicles, the less likely you are to have issues. 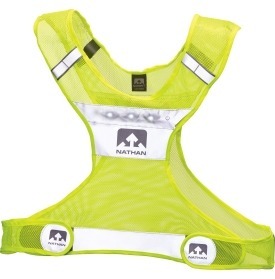 The Nathan LightStreak vest offers a ton of visibility thanks to reflective strips and built-in LEDS. Just be sure to tighten it down so it doesn’t flap around while you are riding. 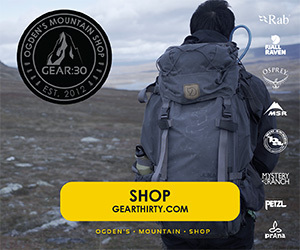 No matter how great your gear, tires throw water and slush. Simple, lightweight fenders keep you cleaner and warmer. Short fenders work in the front, a few inches in front of and behind the forks, and rear fenders should either be full coverage, or if the clip on variety, have the ability to angle up to adjust for seat height. 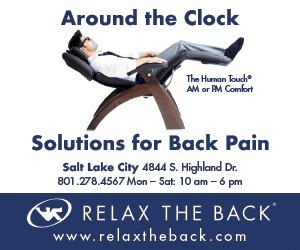 If you have to carry anything, like work clothing or other items, you need a place to put them. 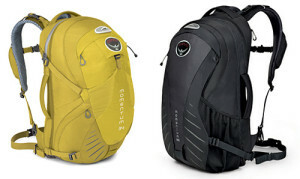 Panniers, messenger bags, and backpacks are all options. For winter rides,I prefer a lightweight, waterproof backpack. It stays in place, does not make my bike any wider, and is easy to balance. Riding in winter can be fun, but you’ll need the right gear to keep it from turning into a sufferfest. Chosen carefully, and using some creativity and caution, riding in the winter can be just as satisfying and rewarding as summer riding. Troy is a freelance writer, editor, and author who blogs by day and writes suspense thriller novels by night. He is an avid hiker, cyclist and skier who lives, loves, works, and writes in Boise, Idaho. His blog posts tend to be lighter than his novels because his dog helps him write those. His work can be found at troylambertwrites.com and you can follow him on twitter.